Sorry about the lack of posts, I’m deep in crunch time now, it’s the pilot episode of a new series I’m working on. And as with all pilots, there’s fire -everywhere- . Need. To. Put. Fire. Out. 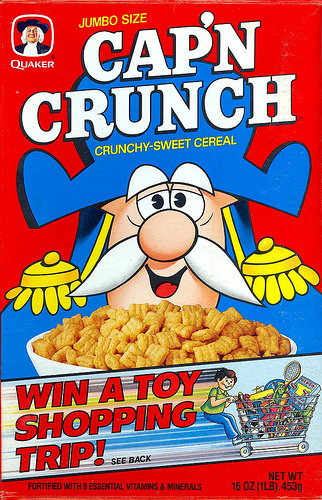 Crunch will be over in a couple of weeks, I hope I can get clearance to post the whole episode online, or least the shots I’ve worked on. Till then, I won’t be posting as much. Just as there are principles in animation, there are also principles in posing, good posing has weight, solid line of action, clear silhouette, contrast in shapes, and asymmetry. “C” is obviously the strongest pose, it fufills all of the above. Lets see a breakdown why it is the strongest. But “C” has contrast in shapes, every complex shape is balanced by a simple shape, this makes the pose more visually appealing. I’m going to go off a little on a tangent here, bear with me – The kind of shapes you produce in the poses effects the feel of the pose. On the most basic level it’s basic vs complex shapes. On a higher level, you have to consider the kind of emotions the shapes might invoke in your audience. Example, pose your character with a lot of sharp angles and and elbow bents, chances are they are going to look more aggressive and threatening. 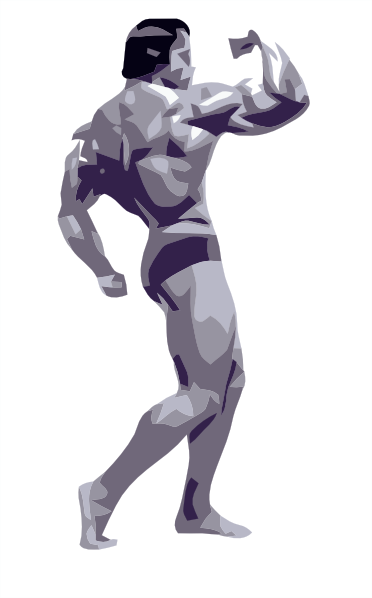 And round smooth shapes in your poses give a more inviting feel to it. If this sounds a lot like the shapes theory in concept art, it is. The same principles behind making a character design looks aggressive/friendly works just as well for us. It’s very very easy to over-do the things mentioned here and end up with a pose that’s way too broad. Control is key, remember less is more, don’t go so crazy pushing the silhouette values you forget about the purpose of the pose. There’s another thing that makes your poses stronger, Tension. By introducing torque to your posing you give increased tension to your pose, I’ll probably have a separate pose about that. You might have heard of this site before, it hosts many of the best Maya rigs you can find on the net. Including those done by our own Gary Wee 😀 It’s similar to the Maya rig section of Creative Crash but I prefer this because it’s a no-frills one stop solution for all your Maya rigs, no need to navigate through a slow and clunky interface! It’s one of the more abstract concepts of animation, and one rarely explained, I shall attempt to explain that here, and how I use it in my workflow. I’ll go over the general idea, I’ll focus on the techniques in future write ups. When learning animation, especially 3D animation, we get so absorbed moving the rig/character around, posing it. It’s so natural to focus on the pose of the character, that once we learn the importance of silhouette values, we try to put that into every single shot. All the above is important, but even when doing it on an instinctive level, it’s hard to -really- focus on the force behind the action, instead of the form. This is also the reason why so many new animators like to animate straight-ahead – it’s easier to “feel” the motion that way. I do it too. How do you focus on animating forces instead of the forms of the character then? If you’ve ever animated straight-ahead like mentioned before, relying on your gut instincts to guide you through your shot, you’ve probably done it – animating forces instead of forms. 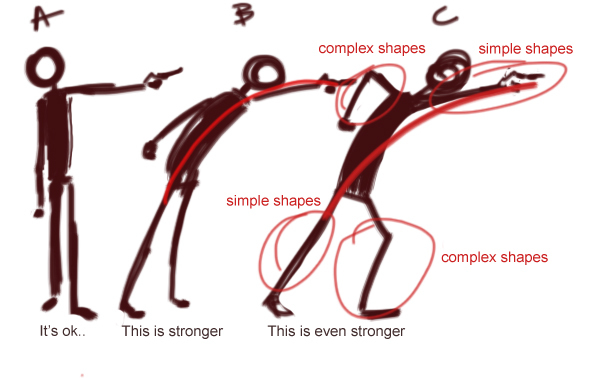 When animating straight ahead, the previous pose determines the next pose, the only way forward is to flip through the poses and see how the weight/force is travelling, and make adjustments to the next pose, your focus is less on the overall form of the character, more on the force. The end result is usually wonky, the poses aren’t pushed far enough, and it’s difficult to makes changes to any pose – it will ruin every pose down the line. 1) Pose to pose requires you to know exactly what is going to happen next, no more scrubbing through the splined animation and looking at what the computer gives you before you decide on the next pose. 2) Because of the above, pose to pose animation easily lose the “energy” found in straight-ahead animation. 3) You’re back to animating forms instead of forces. The best way to correct this is to adapt a workflow that uses both straight-ahead and pose to pose. I block my animation in stepped, the focus is on the poses. Here I will push my poses as far as I need, free from the constrains of figuring out how the poses are going to connect. It’s not important at this stage. I might have it planned out on paper, but I’m not going to bother with it in 3D just yet. This is the first blocking pass. 2nd blocking pass, now I start to add in the break-downs, get a good picture on how the poses are going to connect. This is where the concept of Forces vs Forms need to start coming in. Add breakdowns and feel the force of the motion going through your animation. 3rd blocking pass, refine the arcs, tweak the weight shifts, flesh in the finger poses. It might different for other people, but I stay in blocking as long as I can. That way I can do my changes quickly and have very little to change when I go into splinning. Splinning, I have one huge pass for this. And this is where I go back to straight-ahead, all the odd twitches and movement have to be smoothed out. Using my blocking as a guide, I go back to using my gut instinct to “feel” the motion in spline. This way I get to keep my pushed poses, and still get a pass that focused on the Force of the motion. Minor tweaks to key poses is necessary. Lastly polish, this can be tricky, polish too far and your animation looks smooth, fluid, and devoid of any sense of weight. You’ll lose the poses you’ve so carefully preserved and the motion you’ve carefully tweaked. Keep in mind the force of the motion, sometimes I might favour the force in motion over the form of the poses. This is especially true in an action heavy sequence. The gist of it is quite simple, keep in mind the motion of the force at all times, don’t lose sight of it when you’re too busy pushing your poses. I was doing that for the longest time, and I couldn’t figure out why my animation look so stiff, the only way to make it more fluid is to do it straight-ahead. And I’ll wonder why I don’t have those awesome poses I see in other people’s animation. This is my remedy, it’s not the only way, and I still think my poses could be much stronger. But I do wish someone told me when I started learning animation, so here it is. I hope that’s useful to someone. Part II I’ll talk about using Change in Shapes to animate forces.